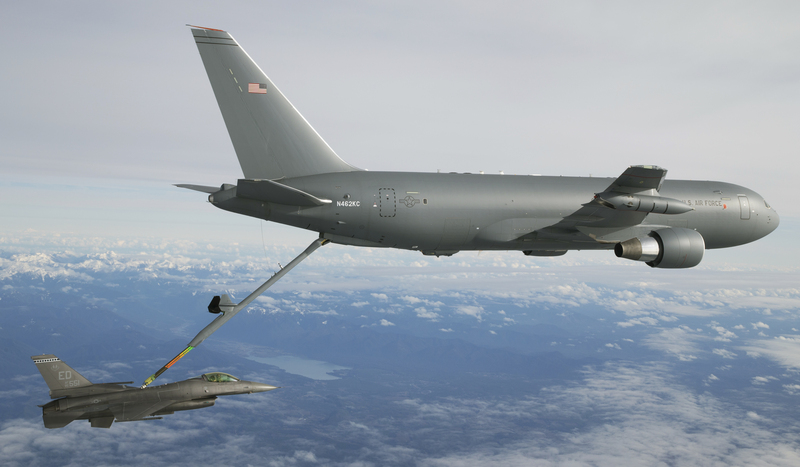 KC-46A Test 004-002 was the initial F-16 contact and fuel pass flight on January 24, 2016. 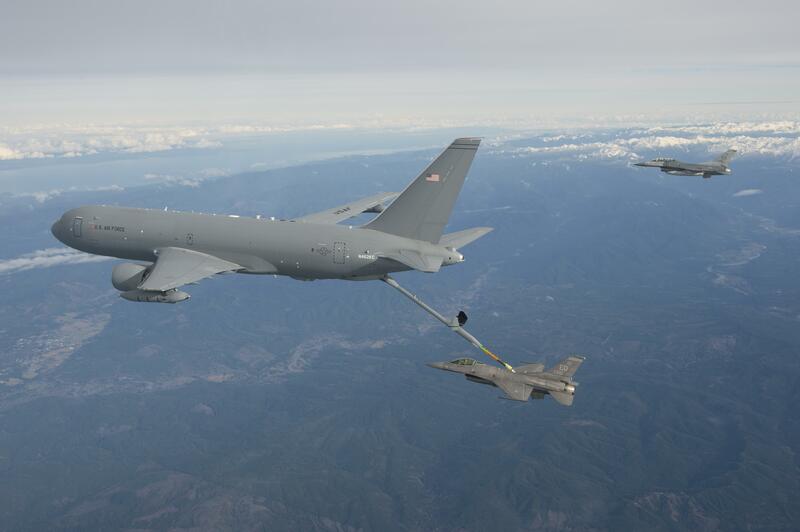 Air Force Photo by SSgt Brandi Hansen. 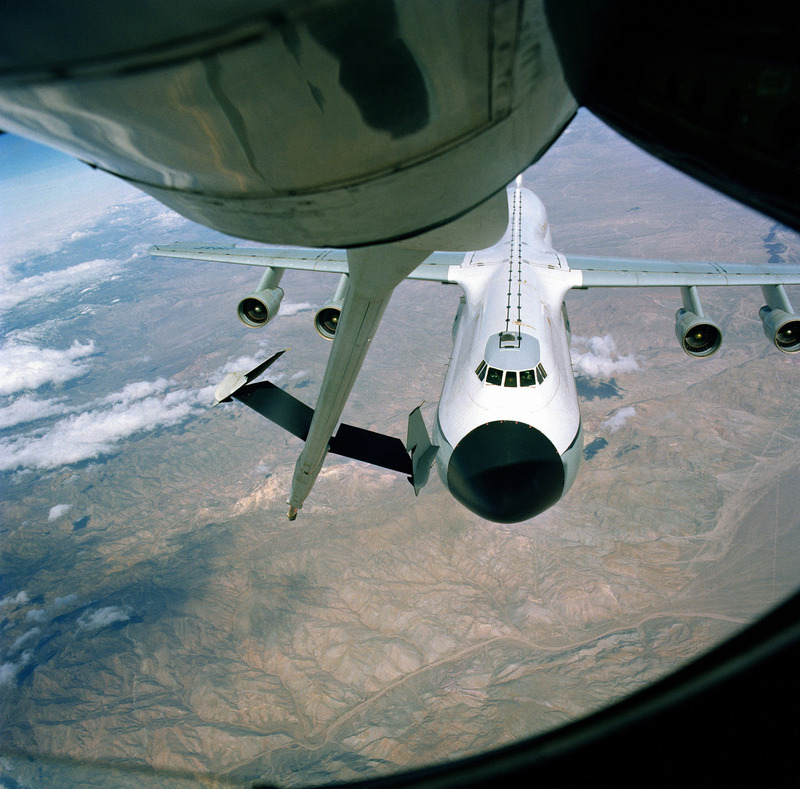 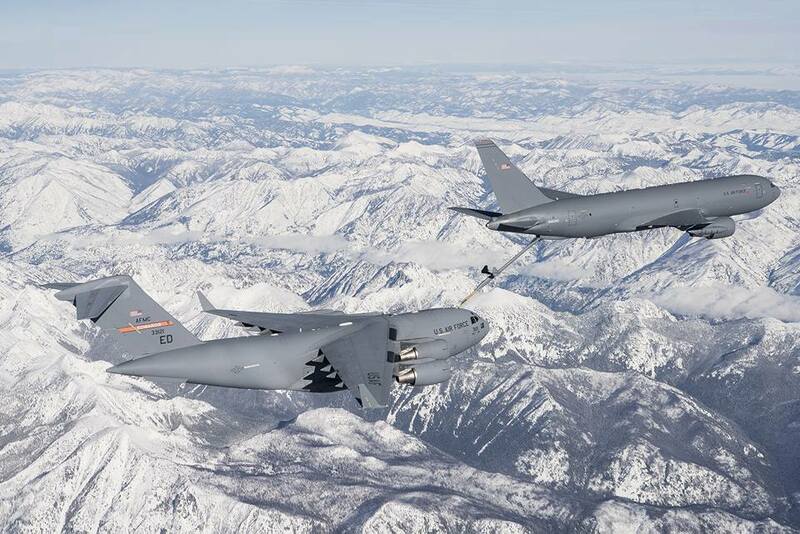 KC-46A performs an aerial refueling contact with a C-17A.